Unit 3 Block 1 Lot 16 (TOT ID #2177) Ocean Front / HIGHLIGHTS: Linens provided, private hot tub, internet access,fireplace, garage, short walk to Blackpoint Beach and The Sea Ranch Lodge. Great house for two couples. FLOOR PLAN: Two story; Open between living, dining and kitchen. Master bedroom and bath (duel shower only). Hall to 2nd bedroom with bath (shower only). This home was just remodeled to include another bedroom suite upstairs and a spacious family room with complete entertainment center. We love this house. It's a great location and perfect for nice meals and lovely ocean views. There is also a wonderful book collection so you can curl up in a comfortable (and stylish) sofa and read or watch movies in the TV room. Great home. Spacious bedrooms and baths. Location on Black Point perfect for watching whitewater surf. Very clean throughout. Sea Rach Escapes agency the absolute best in every way. Have been renting homes on TSR for over 40 years with another agency that sold to a corporation. All went downhill quickly. We will only rent through Sea Ranch Escapes from now on. Serenity was a terrific spot to spend a week. The house was extremely comfortable, well laid out and very well provided for. I truly had no complaints and only wish I could have stayed for another week. A most memorable weekend ! We will return soon to this wonderful house. Quiet, private and amazing ocean views. The staff did a great job arranging with a local florist to have a welcoming rose bouquet and balloons for my wife’s birthday. A hiccup as we arrived and found the housecleaners were still there and were for a couple more hours. Apologies all around. Our cleaning fee was waived. A fair accommodation. Another hiccup was no CD player in the living room. The instructions referenced a Sony component that wasn’t in the cabinet. With iTunes and our own portable speaker we were fine. Living room TV was a mystery too; until our tech savvy son arrived Saturday morning. With the exception of the 6 hour power outage, the stay was quite pleasant. The home itself was artistic, sophisticated, and felt like home. We utilized every room and especially enjoyed the great room and kitchen. Finally decided to spend the "big bucks" for a great place for our (now second) annual family reunion with our two daughters and their men. 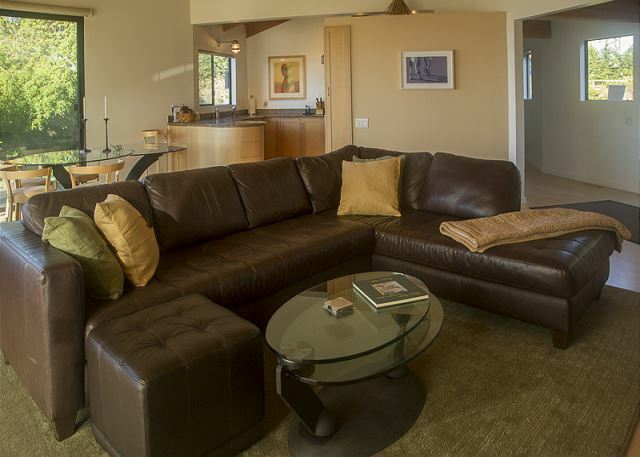 The Serenity house has THREE master suites with two living rooms interspersing each. Just great. Only concern, we arrived before 5 PM, the rental agency's closing time, and found them closed. We lucked out getting the key and directions do to a kind office neighbor. It was all good. Serenity consistently exceeds our expectations. The house is immaculate and every thoughtful detail enhances the experience of being in this magical place. Sea Ranch Escape is wonderful, Kara is always so warm and welcoming! Don't forget to visit Two Fish Café at Stewart's Point! Amazing property with an unbelievable view! Amazing rental property with a great view! Would absolutely come again. My only negative feedback was the cleaning service charge. We made sure the clean the place as much as we could -- we even started the laundry. But we were charged more than what was estimated by 15%. 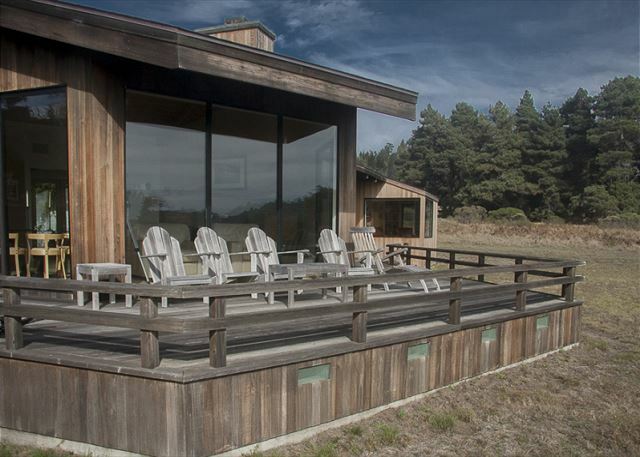 There are no doubt many fine homes to rent for vacation in Sea Ranch but there can be none finer than Serenity. 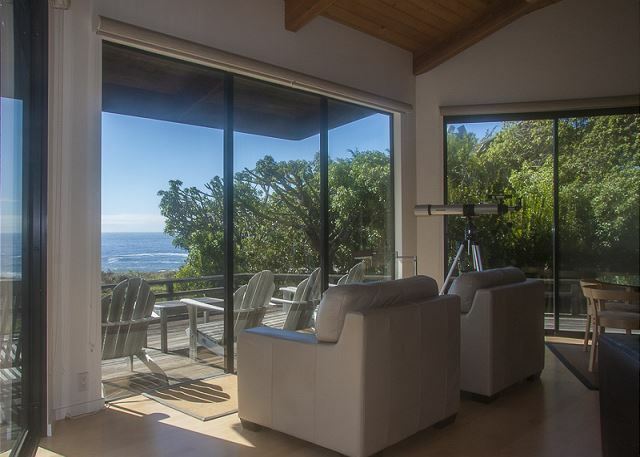 Ocean views, beautiful garden, gourmet kitchen, fireplace, hot tub and a telescope. Heavenly! 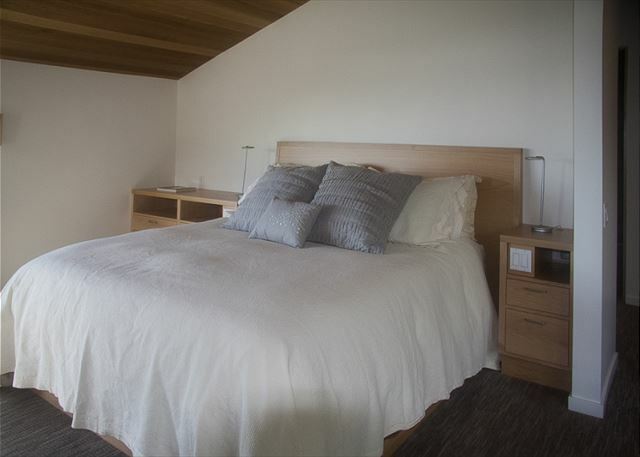 Serenity house is the most beautiful and comfortable home we have stayed in at sea ranch. Everything you need is there. 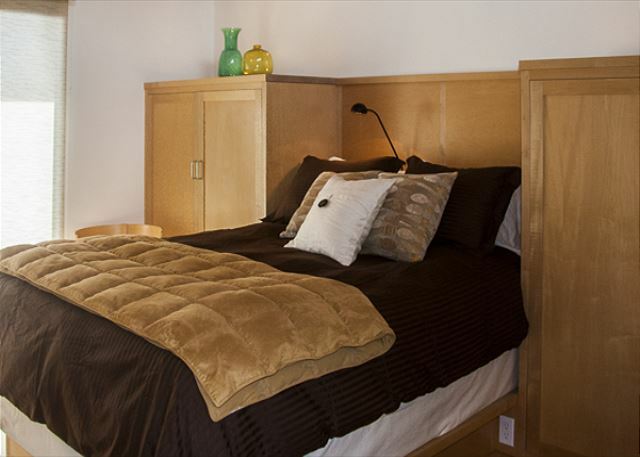 Beds are comfortable and all bedrooms are private. Our weather was great and you could not ask for a better view of the ocean at Black point beach. We will return. Thank you sea ranch escape. Wonderful service! We had a wonderful week at Serenity! We especially enjoyed the open floor plan with large view windows and the deck. We wanted to enjoy the beautiful courtyard as well but had such nice sunny and mild weather that we couldn't pull ourselves away from the 'ocean side' of the house. 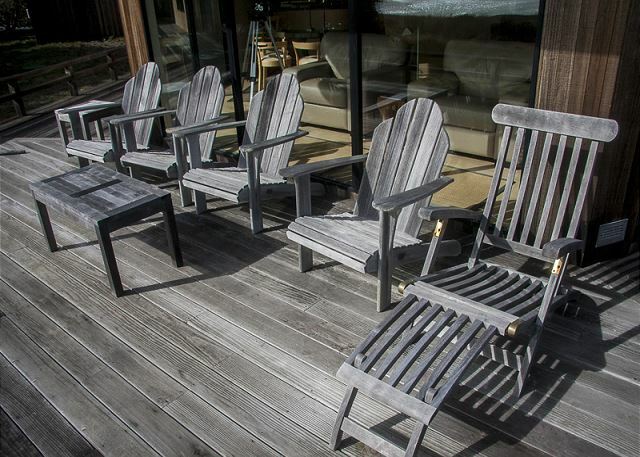 The house is a great set-up for 3 couples offering privacy areas and gathering areas. A great stay; clean and very comfortable! Couldn't have been a better experience for 4 senior women. The other 3 had never stayed at Sea Ranch; "Serenity" was the perfect house for us. We had the perfect weather--70's--in the perfect house--awesome views--privacy--every amenity--quality--beautiful garden--hot tub---. We shared with daughter and husband and our grandson and wife---3 generations in a perfect place----Thank you. Ideal spot for a vacation. Everything that you could possibly want was there. Past all expectations! This home is perfect for two couples - I highly recommend it! We will be back. This house was perfect for our 6 member family ! 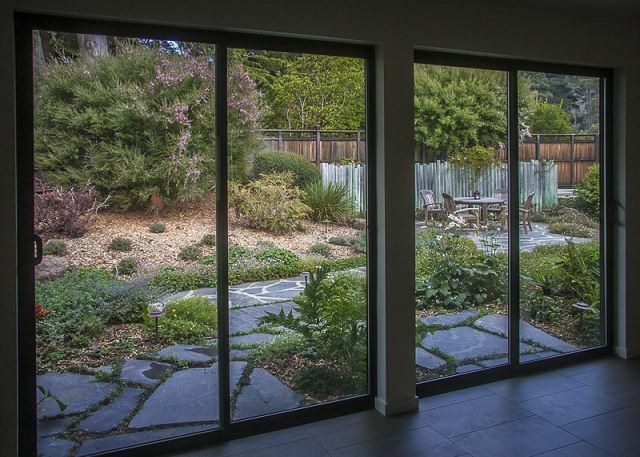 The highlight are the lovely views of sea, garden and monterey cypresses. The home is comfortable and very well equipped and cared for. Thanks! This is my happy place. Rental home was beautiful and the scenery could not have been any better. Every three years we rent a high-end TSR house to accommodate a reunion with former classmates. Serenity stood out from all the others, in both our opinion and that of our guests. There was real reluctance on their part to leave, and a strong temptation to come back next year, rather than waiting the historical three-year pattern. 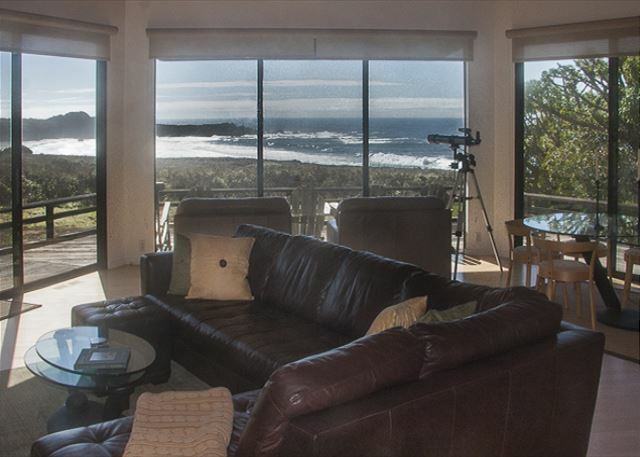 This is an exceptional house in a prime location, offering great ocean views, including the waves rolling in on Black Point beach, while maintaining an atmosphere of privacy, including from the bluff trail. Love the location, love the house, love how it's sited. Love that it's not too close to a path, and that you can hear and see the ocean. Beautiful place, wonderful spaces, extremely comfortable. These long time visitors to Sea Ranch find perfection here. Thank you to the Kellers for sharing their home. Best view, stock and condition. Modern home in great location. Best view! Wonderful home, wonderful site, wonderful view, far enough from trail for privacy. 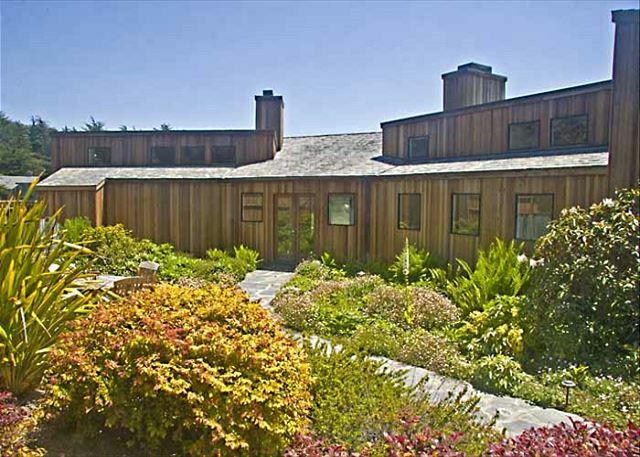 Been to many homes in Sea Ranch - this one's our fave. Serenity is spacious and gracious, thoughtfully remodeled - love the layout and orientation to the water and wind. Perfect for us. Thank you. 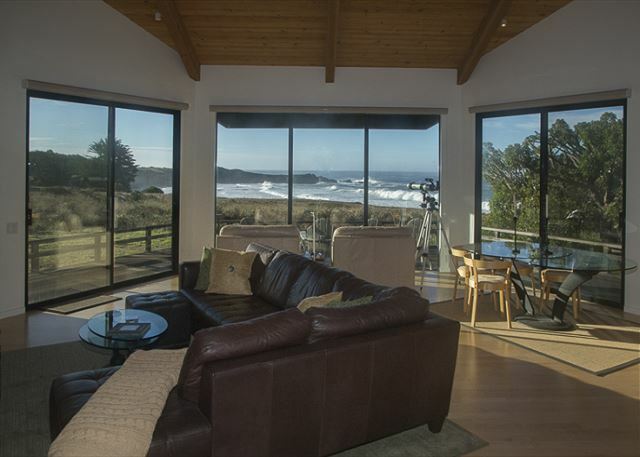 Beautiful Sea Ranch home with a spectacular view. 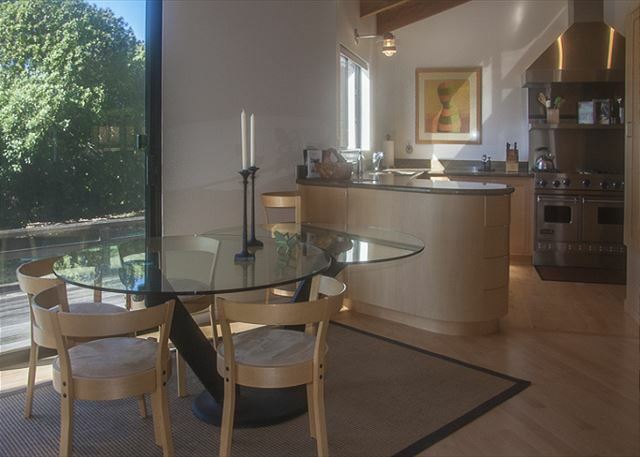 Very open concept living, dining, and kitchen area, comfortable and California casual approach to decor. We loved the big fireplace and the gourmet kitchen -- top of the line appliances and stocked with everything one might need. Stunning sea view from the front and a beautiful garden in the back which also provides privacy. 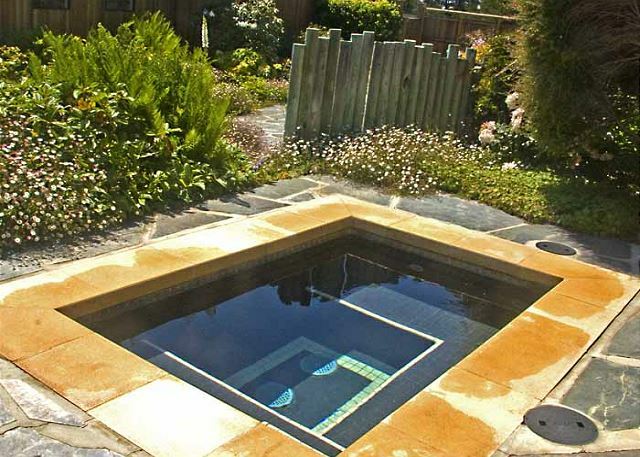 Close to the trails, but just far enough off to protect your privacy out front. One of the nicest rentals we have stayed in and our friends who stayed a little further north in Sea Ranch preferred our house to theirs. Very close to the Sea Ranch Lodge/Restaurant and Stewart's Point, and about 6 miles from Gualala - an easy drive. The only thing I would offer to the management is that we would have liked a floor lamp or two in the living room for evening reading. The overheads illuminate, but it's not conducive to a warm, cozy atmosphere to curl up with a good book. I have stayed at this house three times and have never been disappointed. The views of Black Point and the white water at Black Point Beach are exceptional -- sometimes enhanced with whales blowing or breaching. The house is modern, well furnished, with a first class kitchen, comfortable furniture (including beds), and a wind-protected courtyard. 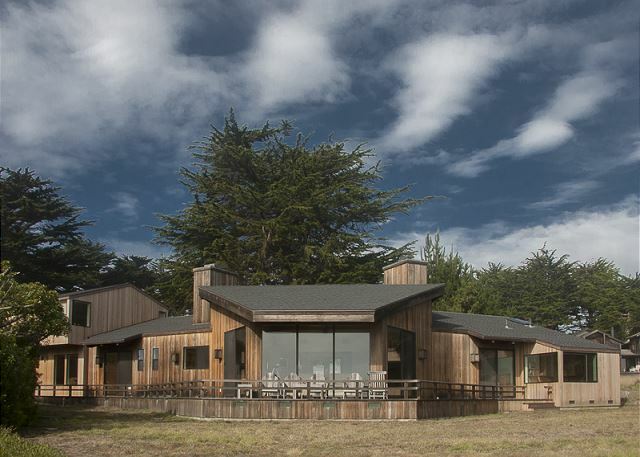 I have been to The Sea Ranch six times over 16 years and have yet to find a better property. The Keller House is the best house we have stayed in at Sea Ranch. We have been renting houses for over 30 years and this one was terrific. We will visit again. We are returning guests to the Keller Home. We love the home and the location. We will return! If you want to have a mellow and laid back respite with another couple, this is the place. It is not appropriate for a large group, or family with small children, but perfect for adults who enjoy cooking great meals and long walks on the bluffs. 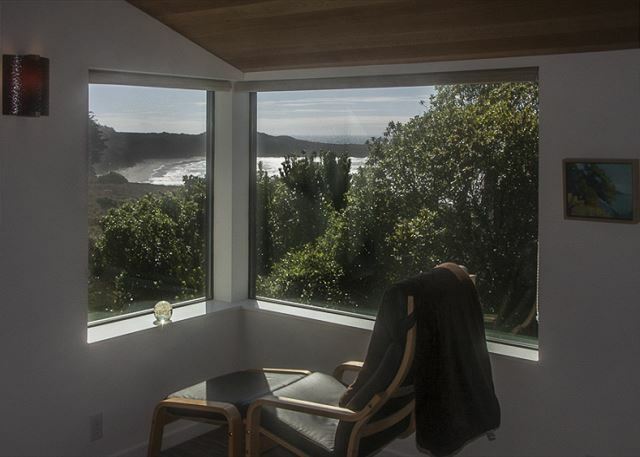 The view is spectacular and the location and privacy that the Keller House affords is perfect. The Keller house is perfection! From check in to check out, every aspect of our stay surpassed expectations. The high end touches of the Keller house make you feel pampered. The condition of the home is immaculate, and very thoughtfully prepared, down to the frother for home made lattes! The serenity and forever views make this our favorite vacation destination. The staff was friendly and responsive. We'll be booking our next stay shortly. Serenity is the most perfect house we have stayed in on The Sea Ranch property. Wonderful design,furnishings and kitchen wares. Exquisite views! We have stayed in many different rental homes in Sea Ranch over the years and this house is our new favorite! The owner has done a marvelous job with all the little details of the house and except for some minor issues, everything was in place for creating a a spectacular getaway. Great location for getting on the ocean bluff trails for a long morning walk or for heading up the coast to Pt. Arena and Gualala for afternoon exploring. The house feel is so well thought out in terms of privacy, that you can chose to just hang around the house if crowds and people are not your thing. Read more in the 4 days we were there than in the last year! Best stocked kitchen and as serious cooks we appreciated all the details and quality of appliances. Wound up cooking at the house every night rather than heading out to eat. Highly recommend this home and are only quibble was that there is construction going on next door and that was not disclosed to us before we arrived. Fortunately there was only one day where the noise was not acceptable but if you are going up you may want to ask the status of the work. Great Experience...Outstanding Service from Sea Ranch Escape! Another great Sea Ranch experience delivered by Sea Ranch Escape!!! Last year they went the extra mile to accommodate our son who's in a wheelchair...This year they again went above and beyond in taking care of us when our original rental didn't have internet access...They quickly put us in another fabulous property, and saved our long weekend....Tremendous service...For Sea Ranch rentals we won't look elsewhere...You shouldn't either! Silence, stars, books, total comfort-what's not to like? I have described my experience above. This home was amazing. I should rave too much because I want it available for future visits!!! 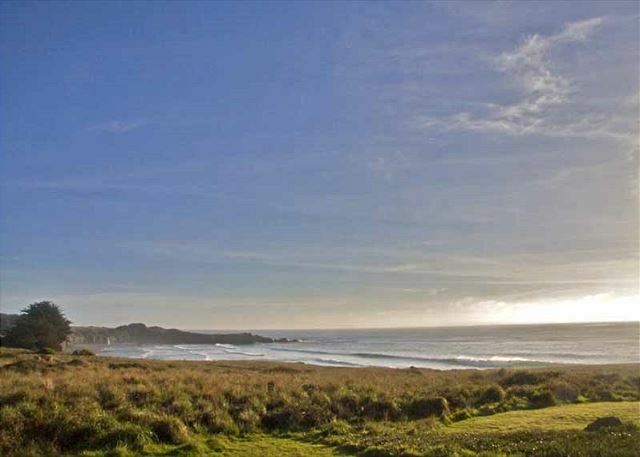 Our experience with Sea Ranch Escape is consistently excellent. The house was perfect, the location breathtaking and everything was conducive to relaxation, and rejuvenation. 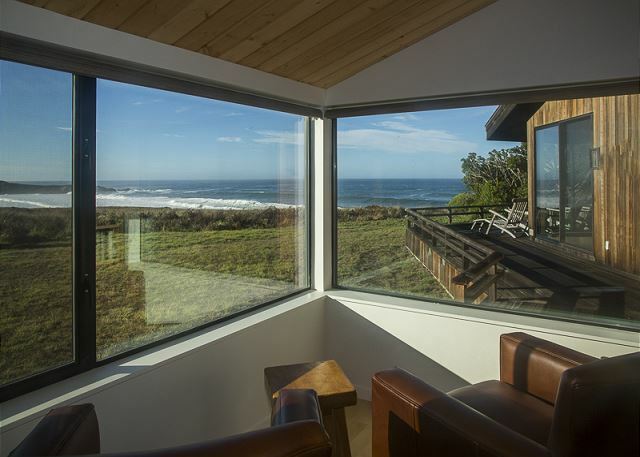 Best Sea Ranch House ever! THis house is wonderful. Far enough away from the bluff top walking path so you don't constantly have people walking by and looking in but still with a great view. 3 very comfortable bedrooms with baths-no couple will feel slighted. 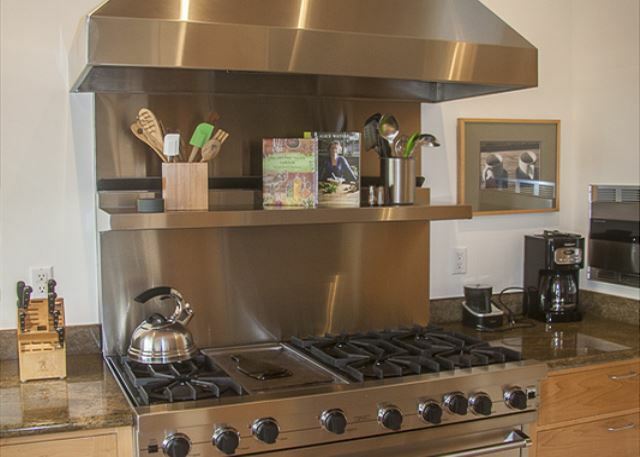 Fabulous kitchen-we love to cook and this is the nicest and best equipped kitchen we have ever found at a Sea Ranch House. Same goes for the tv/stereo equipment. 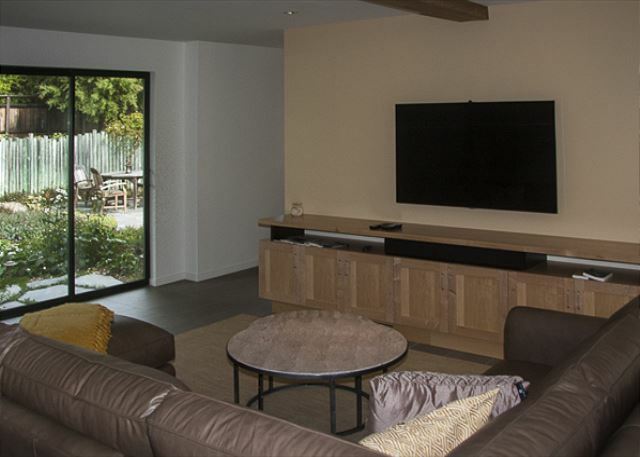 High quality and new with a huge tv in the family room. We will continue to rent this house annually. 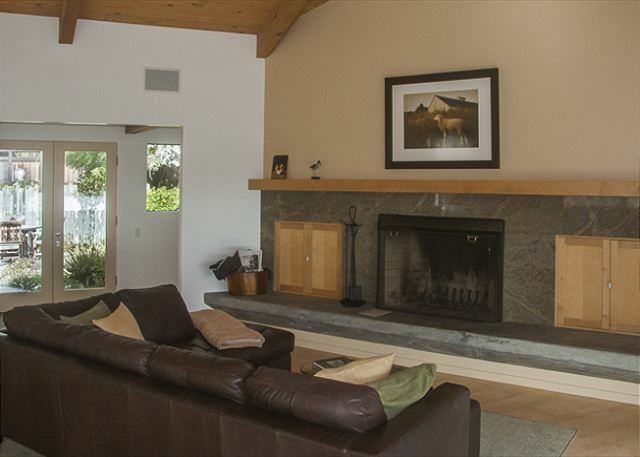 This home is one of the nicest at Sea Ranch. The addition creates a wonderful second master-suite upstairs. This is by far the best house we have rented at The Sea Ranch. House design, fittings, location and condition are all at the top end. There were no issues at all. Even the cutlery was sharp and did what it was supposed to do! It would be a perfect place for two or three couples or a family with adult children. The view of Black Point Beach alone makes it a winner. A perfect relaxing 4 day getaway where the time flew by way too fast.... Hopefully there will be more opportunities to stay at Serenity and enjoy the beautiful home. A beautiful home, shared with friends for a week. A great place with magnificent views, for memories to be made, and perfect space to just decompress. This ocean view home has too many amenities to describe each one separately. The home has been remodeled since we stayed there in 2007. The new addition is exceptional and has added so much space. Each guest can find their own little space to escape in the library, upstairs window box or family room yet you can be together to enjoy your family inside or outside with games or binoculars provided.Two overstuffed leather chairs sit in front of massive windows for excellent views. The home is located with breath taking views of Black Point Beach. Sitting on the deck in the deck chairs enjoying the view of the ocean and the sound of the ocean was very restful and serene. The location of the home is ideal. 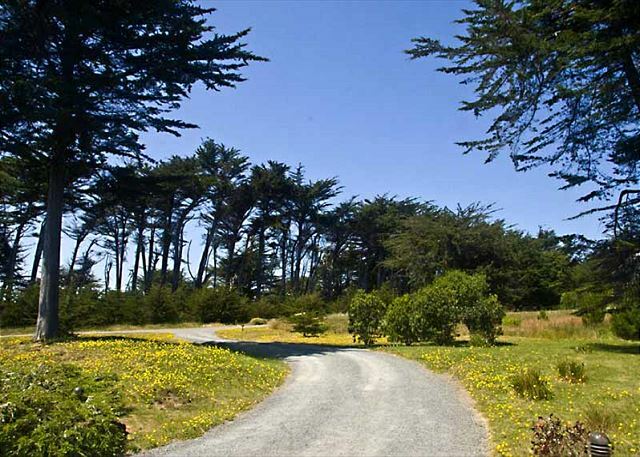 It makes you feel like you are alone in the world, yet you are near to the walking trails to enjoy the 20 miles of trails and beaches of Sea Ranch. There was an abundance of wildlife to enjoy, including 2 newly born fawns and their mother, a fascinating Blue Jay that seems to have the guests trained to come out to see him. My husband and I recommend Serenity as a wonderful home to rent. Very comfortable. Decorated beautifully. One of the most thoughtfully laid out and appointed homes we have ever rented. The views are spectacular and the privacy is everything you would hope for. the stairs to the large upstairs bedroom--so they opted for the downstairs smaller bedroom. Do be aware the stairs are steep and not easy to navigate for older people. The most beautiful house we have ever stayed in for the last 10 years. Loved sitting on large deck enjoying the majestic ocean view. But a couple of things put a "damper" on our stay. The freezer did not work and the bbq was filthy with dirty tools left inside. We had to spend much time to clean in order to be usable. I reported to the managers and they offered to compensate for our trouble but did not. But we still enjoyed our stay in spite of complaints. This was my third time renting from Sea Ranch Escape. I think that a fixed cleaning fee should be included in the rental rate-the policy of self clean or hourly cleaning seems out of step with similar rentals elsewhere. We chose the Keller House over other equally beautiful homes due to the privacy of its secluded location and comfortable looking furniture. It was indeed as beautiful and peaceful as it looks in the pictures. 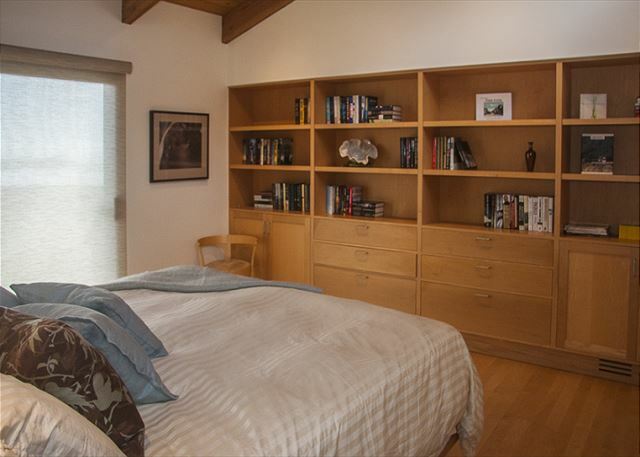 We especially liked the great and varied selection of books in the master bedroom and enjoyed watching the sky change colors in the ocean facing deck, as well as the privacy of the garden. One very small disappointment was that there was no warm water at all in the the master bath, so we couldn't use the beautiful double shower, but the guest shower was more than satisfactory. Overall, Keller House is an awesome, comfortable home we would return to if time permits, and we're very thankful that the owners allowed us to rent it.